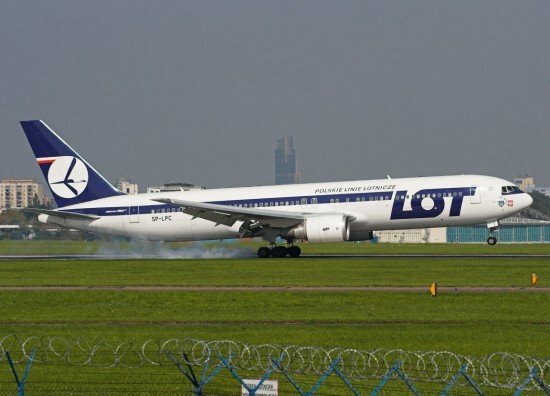 Polish airline LOT decided not to repair the Boeing 767-300 airplane that was damaged in a gear-up landing at Warsaw in November of 2011. The aircraft with the registration number SP-LPC, will not return to service and will be sold. The Boeing 767-300 was operated by LOT Polish Airlines on the basis of a lease agreement with the American company Air Castle. After the emergency landing without the use of landing gear on 1 November 2011 and the completion of the investigation by the State Commission of the Investigation of Aircraft Accidents, a lengthy discussion and negotiations began between the Lufthansa Group insurance company, the owners of the aircraft, Air Castle, and LOT Polish Airlines. During the negotiations it was established that the restoration of the aircraft to an operable state was not feasible. Ultimately, the parties came to an agreement in which LOT Polish Airlines took the aircraft over as its own property, after which an auction was announced for the sale of the aircraft in its current state. The bidding process permits the separate sale of the fuselage and the engines. Bidding will end in July 2012.